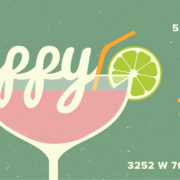 Mark your calendars for the Greater Fort Worth Chapter of PRSA’s March Happy Hour! Join us at World of Beer on Thursday, March 22, from 5:30-7:30 p.m. to catch up with peers and enjoy a refreshing drink. The cost is $5 per person (appetizers included). Join us for our next GFW PRSA luncheon on Wednesday, May 8, at Colonial Country Club! Join us for our next GFW PRSA luncheon on Wednesday, April 10, at Colonial Country Club!